Chef Austin Simmons and his team from Hubbell & Hudson took home the top prize at the 2018 Truffle Masters competition, presented by DR Delicacy and held this year at The Astorian in Houston. Simmons led a talented team, consisting of sous chef Cortney Taraboi, GM Chris Perry, Cici Chavez, and Anthony Compofelice. Second place went to pastry chef Juan Pablo Calubri and the team from Yauatcha, and chef Jose Ruiz and the team from a’Bouzy took third place. The People’s Choice award was given to Riel and chef Ryan Lachaine. Amidst an extremely talented field of competitors, Simmons elected to go with a simple, classic, and risky approach: The French Grilled Cheese sandwich. Shaved black truffle was combined with house cultured cream, comté, aged gruyere, clarified butter, and served on toasted brioche. The competition was fierce. Competitors included Robert del Grande of Cafe Annie (a James Beard award winner), Danny Trace of Potente, Philippe Verpiand of Etoile, Edel Goncalves of Fielding’s, David Denis of Le Mistral, Luis Roger of BCN Taste & Tradition, David Skinner of eculent, Teddy Lopez of Killen’s STQ, Jose Ruiz of a’Bouzy, Jeff Taylor of Steak 48, Ryan Lachaine of Riel, Jesse Cavazos of CRU, Ryan Bouillet of A Fare Extraordinaire, Jose Hernandez of Lucienne, Stephen Conklin of La Table, Juan Pablo Calubri from Yauatcha, and Dimitri Voutsinas of Emmaline. 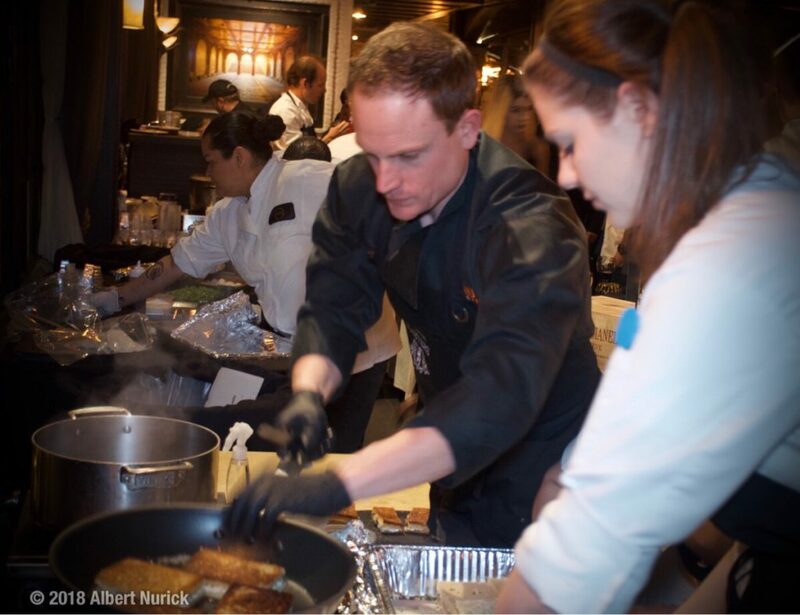 This is the Hubbell & Hudson team’s second appearance at the Truffle Masters. In 2017 they took home the People’s Choice award.